Four men have been arrested on suspicion of plotting a terror attack in the UK as part of an investigation by MI5. Officers from the Metropolitan Police's counter terrorism command detained the suspects during raids on their homes. The men, aged between 18 and 27, remain in custody while searches continue at five homes in east London and a nearby business address. A spokesperson for Scotland Yard said they were detained “on suspicion of being concerned in the commission, preparation or instigation of acts of terrorism”. Investigators gave no further details on the operation, which follows a series of stings targeting alleged Isis supporters in Britain. Security has been intensified in the capital since alleged Isis supporter Khalid Masood killed five people in a car and knife attack in Westminster in March. Last month, a man was arrested while carrying several knives in Whitehall. Khalid Mohammed Omar Ali, 27, has since been charged with preparing a terrorist act and two explosives offences dating back to time spent in Afghanistan in 2012. In an unconnected case that emerged on the same day, three women have been charged with preparation of a terrorist act and conspiracy to murder following a police raid in Willesden that saw one of the women shot. Rizlaine Boular, 21, her mother Mina Dich, 43, and Khawla Barghouthi, 20, remain in custody ahead of a hearing at the Old Bailey on Friday. Separately, 24-year-old Sabbir Miah pleaded guilty to spreading Isis propaganda videos on Tuesday. British security services have prevented 13 potential terror attacks since June 2013, Assistant Commissioner Mark Rowley revealed. Intelligence agencies have been monitoring suspected extremists, as well as tracking the return of some of around 800 Brits who went to fight for Isis in Iraq and Syria. Hundreds of police officers, firefighters, rail workers, and rescue workers practiced their terror-fighting skills late on Tuesday night in a mock terror attack at Leipzig central station. As part of their training, the officers practiced how to respond should armed terrorists attack the station, according to the federal police. Fake perpetrators simulated the assault with automatic rifles and explosive devices, while police had to act fast. “The women and men of the federal police were confronted by a ‘horror scenario’ tonight in Leipzig train station,” said local federal police president Jörg Baumbach in a statement. There were also around 200 officers from around the country acting as victims of the attack, who had to be saved, according to broadcaster MDR. In total, 500 people took part in the training exercise. MDR reported that travellers had been informed about the exercise at the station, and train travel was not impacted. Numerous spectators also gathered to watch what was happening, despite the fact that it was hard to observe due to two blocked off platforms. According to Baumbach, the operation was a success. Citing unnamed “informed sources,” a Saudi newspaper says that “Russia has prepared approximately 60,000” predominantly Sunni Muslim soldiers from the North Caucasus to dispatch to Syria, a dramatic expansion in the limited Chechen police contingent now stationed in Aleppo and within the TURAN battalion near Palmyra. Marwan Ash-Shamali, a Saudi commentator, published that statement in Riyad’s Al-Watan newspaper four days ago. It has now been translated and has received wide coverage in the Russian media (inosmi.ru from the original available at alwatan.com.sa). The Saudi writer argues that the use of such Muslim troops gives Moscow an advantage in Syria because they can more easily cooperate with or even blend in with Syrian government forces. But he suggests that “in the near term,” such units are unlikely to play “a major role” in that country. That would happen after all of them were there. When that will be is unknown. Not surprisingly, Ash-Shamali focuses on the impact of these troops in Syria where they would strengthen the Sunni positions favored by Riyad. But the impact of the formation of such forces within Russia is likely to be far greater, spreading from the military to the political and social system. Creating ethnically or more rarely even religiously-based units is not something Russian rulers have been comfortable with at any time. They have done so only under extreme pressure as during World War I, the Russian Civil War, and World War II, and then they have rapidly disbanded these forces viewing them as a threat. Russian commanders in recent years have worried about the high concentration of soldiers from Muslim regions in various units, the result of the demographic collapse of the ethnic Russians and the still rapid growth of Muslim nations, and Moscow has sought to compensate for this by cutting severely the draft in Muslim areas. That hasn’t been popular either in those places or among Russians. In the former, many object to being kept out of the military because that limits career options in the police and other siloviki units. And in the latter, Russians can see that they are being asked to pay a higher “tax” than their Muslim counterparts. A 60,000-man Muslim army would only exacerbate this sense. But more immediately, many Russians would likely view this as yet another concession by Moscow to Chechnya and its leader Ramzan Kadyrov and an effort by Vladimir Putin to create a kind of janissary corps to defend him against challenges coming from the Russian people. And to the extent they do, many Russians and those politicians who listen to them are certain to object either to the creation with Moscow’s money of what could be an independent Chechen army or to a new Savage Division, as the North Caucasus troops were known in World War I, that might be used to suppress demonstrations. Germany's defense minister says her office has drafted a list of eight locations where it could move aircraft supporting the anti-IS mission if Turkey continues to block German lawmakers from visiting troops at the Incirlik base. Ursula von der Leyen said Wednesday a team is already in Jordan to assess a site there for its Tornado reconnaissance jets and a refueling plane, and Cyprus is also being considered. Nonetheless, she stressed talks with Turkey were still ongoing. Germany has granted asylum to some soldiers Turkey believes were involved in a failed coup attempt last summer. That has prompted Turkey to block a request for German lawmakers to visit some 270 troops serving with the coalition against the Islamic State group at the Incirlik air base. The annual reports of the Czech secret service generally deal with the level of extremism, the danger of radicalization of the Czech Moslem community, and the Czech Republic as a possible transit country for radicals. For the first time this year the country’s secret service also speaks about money having been sent to finance Islamic State activities. Intelligence service spokesman Ladislav Šticha confirmed on Wednesday that the secret service is aware of at least one case in which money was sent from the Czech Republic to finance an Islamic State terror group. The group or country to which the money was sent were not identified on the grounds that disclosure of such highly sensitive information would threaten the agency’s long-term operations. Under Czech law financing terrorist activities is a serious crime punishable by up to 12 years in prison. As regards the Czech Republic serving as a transit country for radicalized individuals, the BIS reported that in 2016 a number of foreign nationals from other countries had travelled to Syria via the Czech Republic, namely using Prague’s Vaclav Havel Airport. No such case of a foreigner residing in the Czech Republic was monitored. In its 2015 report the secret service said that seven Muslims who had spent an unspecified period of time in the Czech Republic left the country with the aim of joining extremist groups in Syria, especially Islamic State militants. Only one case is known so far of a Czech wanting to join a terrorist organization. 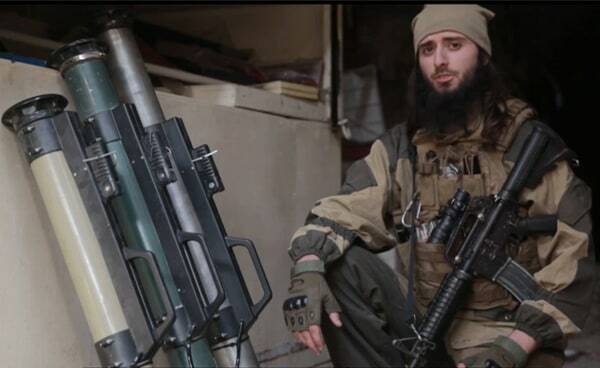 The Czech national in question was detained at Istanbul’s international airport in February 2016 with a one-way air ticket to the town of Gaziantep near the Syrian border, from where he had ordered a car to take him to Jarabulus where he was to join IS militants. He confessed all this to the Czech police first saying expected to go to war, fight for the IS ideology and kill people. Later he told the court that he had not intended to kill, but to let himself be killed in battle. A regional court sent him to three years in prison and when he appealed the Prague High Court issued an even tougher verdict handing him a six-year jail sentence. The danger of the possible radicalization of the Czech Republic’s Muslim community persists and must be closely monitored, the secret service report says. The service reportedly monitored a number of individuals who attempted to radicalize Czech Muslims and establish closed communities governed by Sharia law. So far the community has rejected such attempts but the situation needs to be closely watched, the report concludes. ISIS Video Shows New Weapons, ‘American’ Urging Attacks in U.S.
ISIS has released a new video featuring a purportedly American fighter calling for attacks in the U.S. and footage of new weapons the terrorists have built, including drones and rovers, analysts said. Using the handle Abu Hamza al-Amriki, the bearded man appears with his face uncovered and urges lone-wolf attacks to avenge U.S. military action in slightly accented English, according to security firm Flashpoint. It's been nearly a year since an American was featured in official ISIS propaganda. In June, a fighter using the nickname Abu Isma'il al-Amriki praised the Orlando nightclub massacre in another video. Jihadis use al-Amriki in their noms de guerre to mean "the American." The latest video also includes photos of U.S. locations — the Las Vegas Strip, Times Square, banks in Washington — meant to represent potential targets, said Laith Alkhouri of Flashpoint. Of particular interest was the weaponry on display in the slickly produced 44-minute clip put out by ISIS' media office in Iraq. "It showcases a range of proprietary weapons that ISIS militant workshops have developed," Alkhouri said, pointing out rocket-propelled grenade launchers, shoulder-launched surface-to-air missiles, video-equipped guided missiles, a remote-controlled "rover" that can drop explosive devices under military vehicles, and a drone that could potentially drop a bomb on a crowd. The message is that while ISIS has struggled on the battlefield and lost territory in recent months, "it's innovating and weaponizing whatever material is available," Alkhouri said. ISIS used the purported American to urge terrorist sympathizers in the U.S. to use knives or vehicles to wage jihad at home. "Liberate yourself from hellfire by killing a kafir," Abu Hamza al-Amriki says at one point. Counterterrorism analyst Michael S. Smith II said it's far more common to see Europeans delivering such messages in ISIS videos. "While the Islamic State has very much doubled down on calls for attacks on the U.S....very few Americans have been the poster boys for that incitement," he said. This is what the apologists would bring to your neighborhood. This is what those who enthuse about sharia want to see happen to you if you don’t obey its brutal code. Ignore this at your peril — the successful spread of sharia will condemn our children and following generations to unimaginable misery. An unmarried couple were stoned to death by Islamic extremists in Mali for the first known time since 2012, local officials claimed. Another local official confirmed the information, saying the Islamists had accused the unmarried couple of violating ‘Islamic law’ – which requires punishment by stoning. 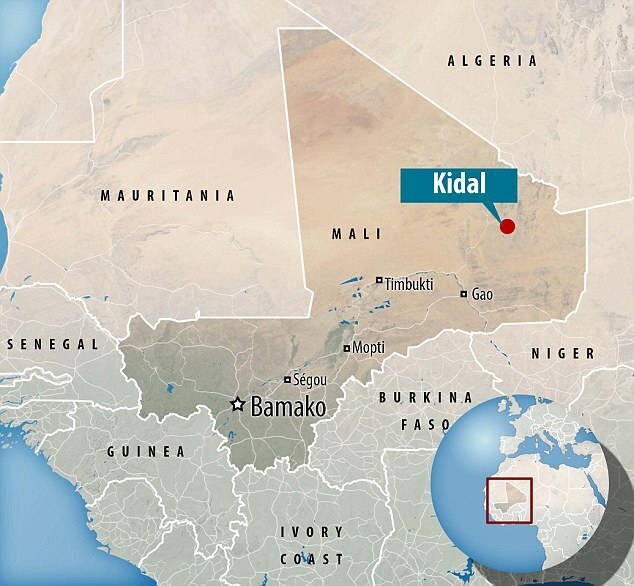 Northern Mali fell to jihadist groups linked to Al-Qaeda in March 2012 and although they were driven out of key towns by a French-led military intervention the following year, Islamists have regrouped and now have spread further south. During their brief control of key towns in the vast north, jihadist groups imposed a version of Sharia law which forced women to wear veils and set whipping and stoning as punishment for transgressions. It is the first public stoning known to have taken place in Mali since July 2012, when the Ansar Dine group stoned a couple in public in Aguelhok who they accused of having children outside marriage. The young pair were publicly executed in the remote town of Aguelhok, near the vast West African nation’s northern border with Algeria, on Sunday, a spokesman for the Ansar Dine [‘Defenders of the faith’] group said at the time. ‘They both died right away and even asked for this application. ‘We don’t have to answer to anyone over the application of sharia,’ he said. Europe will face an exodus of Islamic State fighters defeated in Syria and Iraq this year, more dangerous and battle hardened than previous returnees, the head of the UN Security Council's counterterrorism agency said on Thursday. Speaking to reporters following meetings with EU officials, Jean-Paul Laborde said several European countries estimate that the rates of fighters returning from conflict zones has increased by one-third over the past year. Threat levels in Western Europe are high following a spate of deadly attacks that killed dozens over the past two years, with many nations concerned about their ability to guard their borders. Laborde said the foreign fighters seeking to return to Europe now are much "more dangerous" than previous waves of returnees, full of resentment after years on the battlefield including in recent confrontations. Islamic State has lost large swathes of territory during military campaigns, including by the Russian-backed Syrian army and US-backed militias. "On average, these people are much more committed, more experienced and more skilled," Laborde told reporters. "In spite of the travel restrictions ... still you will have a number of foreign terrorist fighters which will probably slip through the borders and go back, come back to these countries, especially with smuggling networks," he said. However, restrictions have worked to help dramatically curb the flow of foreign terrorist fighters leaving to join the ranks of the Islamic State, he said. 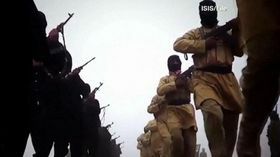 Based on estimates compiled from governments, the UN says 40 to 50 percent of some 30,000 foreign fighters, not all of them from Europe, have already left territories controlled by the Islamic State group. US intelligence believes ISIS is bringing together all of its experts on chemical weapons from Iraq and Syria into a new "chemical weapons cell," according to a US official. The cell is comprised of chemical weapons specialists from Iraq and Syria who have not previously worked together, the official added. The new unit is being set up in an ISIS-controlled area in Syria within the Euphrates River Valley, between Mayadin, Syria and the town of al Qaim, just across the Iraqi border. 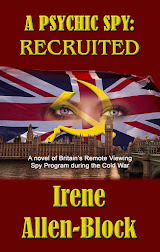 That location has sparked a good deal of interest on the part of US military intelligence. One US defense official told CNN that "thousands" of ISIS operatives and sympathizers may be in the area and that ISIS leader Abu Bakr al Baghdadi could also be in hiding somewhere nearby. The area is now considered the "de facto" capital of ISIS, with Raqqa under such military pressure from the coalition and local forces, the official said. Coalition officials still stress that given its size and status, the capture of Raqqa is still considered to be an important military objective. It is assessed that ISIS is consolidating its chemical weapons capabilities in order to boost its ability to defend its remaining strongholds. That stretch has become increasingly important to ISIS, particularly since the US-backed Syrian Democratic Forces have pushed toward Raqqa, the terror group's one-time unofficial capital. US defense officials have said that they have observed ISIS officials increasingly abandoning Raqqa for towns and cities further south along the Euphrates River, such as Mayadin and Deir-e-Zor. "We know they have been moving a lot of their leadership out of Raqqa and we suspect much of their technical expertise and planning as well," US Maj. Adrian Rankine-Galloway, a Pentagon spokesman, told CNN. While not confirming reports of the consolidation of chemical expertise, Col. Ryan Dillon, a spokesman for the US-led military coalition, told CNN that "we have seen ISIS use low-grade chemical agents in the past. We know ISIS is willing to use chemical weapons. This is not something we want to see them get good at." There has been a significant uptick in low-grade chemical weapons use by ISIS as the terror organization fights to hold on to Mosul. Military officials told CNN there have been more than 15 chemical weapons attacks since April 14 in or around West Mosul. While there have been no US or coalition casualties, some Iraqi troops have been treated for injuries. Military officials have downplayed the efficacy of ISIS' chemical weapons, saying they have less battlefield effect than conventional explosives. ISIS Boy In New Video: "Give Me My Weapon"
“The Psychic Spy” Copyight © 2015 Glannant Ty Media. Simple theme. Powered by Blogger.